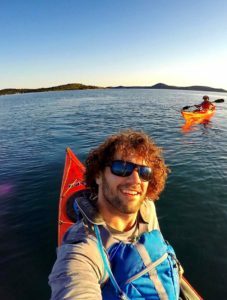 Meet Mladen, Owner, Founder, and Certified Paddle Guide! 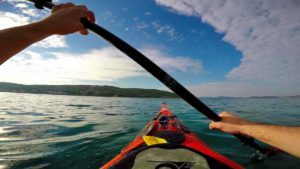 Peak & Paddle Croatia runs sea kayaking classes at diverse levels based on your previous knowledge. ACA Level 3 Coastal Kayaking Instructor and Trip Leader, Mladen Hanzir, will tailor your personal development plan and classes towards your ability, future plans, area of paddling, and current skill level based on ACA development plan and criteria for certain level. Through our basic classes you will gain knowledge about boat setup, seating position, basic paddling techniques, basic rescue and self-rescue techniques, basics of navigation, and how to be a responsible participant/paddler in traffic on the water. For those of you who want more, we can offer classes that are more comprehensive on topics noted above and expand to a trip planning skills, understanding weather conditions and plan accordingly, etc. Gain Confidence through Tailored Instruction by our Certified Guides! Overarching non-compromising topic is safety and we will start from there. We will put emphasis at the very beginning why and how you should take care of yourself and your fellow paddlers on and off the water while being in a sea kayaker role. Below, find a class that fits best to you and reach us to schedule your class. Prior you arrival, we will ask you if you would be so kind and fill out the application form, and sign it, that we will send you upon scheduling a class. Lack of confidence & competence equals lack of joy! Let us prepare you to feel confident and safe on the water while enjoying the incredible sightseeing offered by the Adriatic Sea, and let’s not forget the culture of Croatia! Price includes: ACA Instructor, needed gear, lunch, drinkable water, insurance, materials.